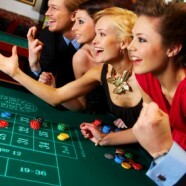 Conduct table games according to the rules of the games, Casino Operations policies and procedures, local regulations, and the gaming department regulations. Monitor appropriateness of wagering and bets. Monitor the amount of chips sold and change nominations of each player. Maintain the pace of the game through the handling of cards, dice, chips, money, and other gaming equipment. Consistently inform players of the rules and what is occurring as the game progresses. Provide information to guests about the property and the surrounding area amenities. Monitor the cleanliness and condition of each area according to designated standards. Follow all company and safety and security policies and procedures; report accidents, injuries, and unsafe work conditions to manager; and complete safety training and certifications. Ensure uniform and personal appearance is clean and professional, maintain confidentiality of proprietary information, and protect company assets. Welcome and acknowledge all guests according to company standards, anticipate and address guests’ service needs, assist individuals with disabilities, and thank guests with genuine appreciation. Speak with others using clear and professional language. Develop and maintain positive working relationships with others, and support team to reach common goals. Adhere to quality expectations and standards. Move, lift, carry, push, pull, and place objects weighing less than 10 pounds without assistance. Stand, sit, or walk for an extended time period. Perform other reasonable job duties as requested.